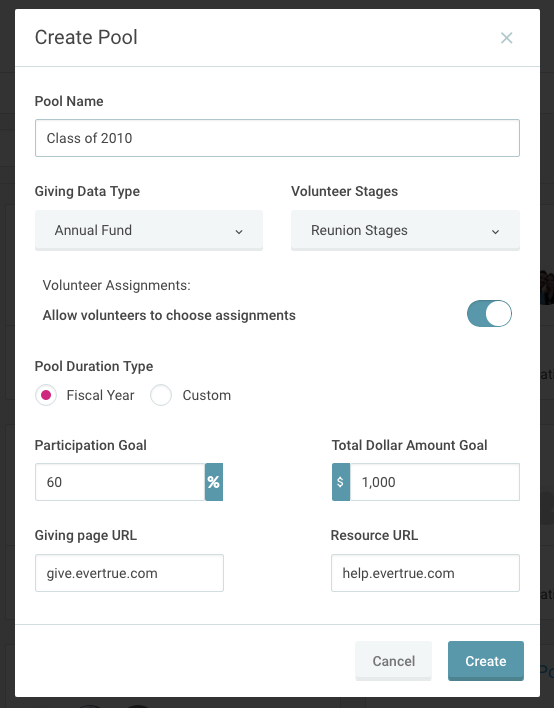 To manually create a pool, go to the Volunteer module in EverTrue and right away you'll see the option to create your first pool. Watch our guide below for a more detailed walkthrough or keep reading for the basics. If you've previously created a pool, use the Actions drop-down menu to create another. Giving Data Type - Available sets of giving data to display in that pool, only one giving type per pool, option to display "no giving"
For more information on Pool Settings & Goals, click here.